To help users transition from BrantSteele.net to BrantSteele.com with upcoming template updates for Big Brother, Survivor, and The Hunger Games, the original Custom and Personal edit modes have been added to all of the new simulators. 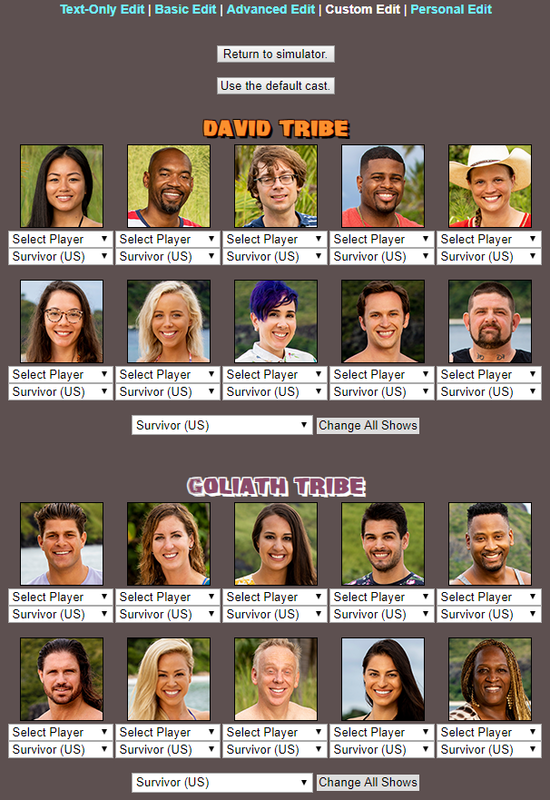 For those who use Advanced Edit, an option has been added to change Season and Show below each tribe/group. 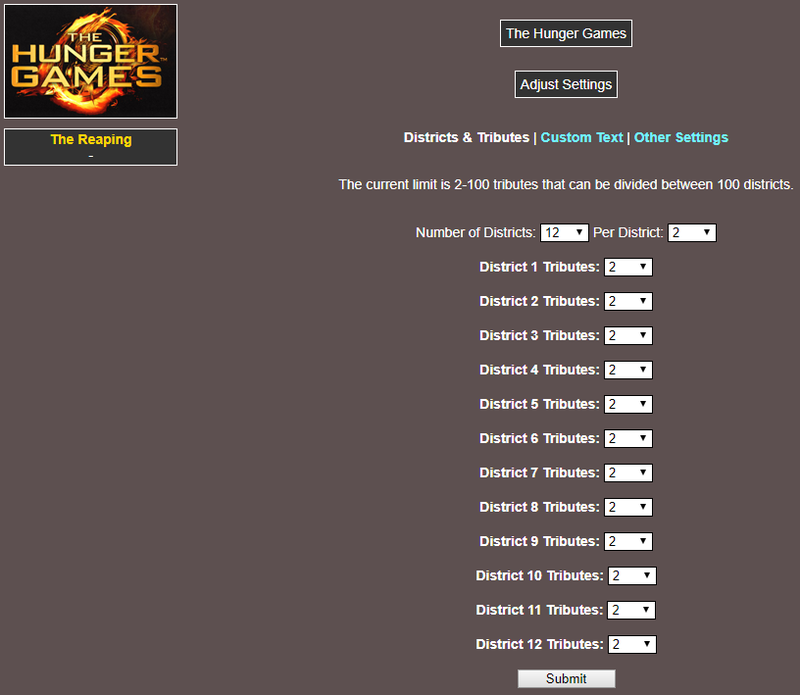 Here’s a preview of what’s to come for The Hunger Games. The Survivor Custom Template tribe & cast page is temporarily unavailable due to some on-server testing occurring today. An option to use the original background was added to the .com simulators earlier in the week. Please report any issues, and any feedback on the changes is welcome. Thank you! Excited for the custom survivor template! Keep up the great work, Brant! I noticed an issue when editing custom simulators. I would add my selected characters in the custom tab, and click done. 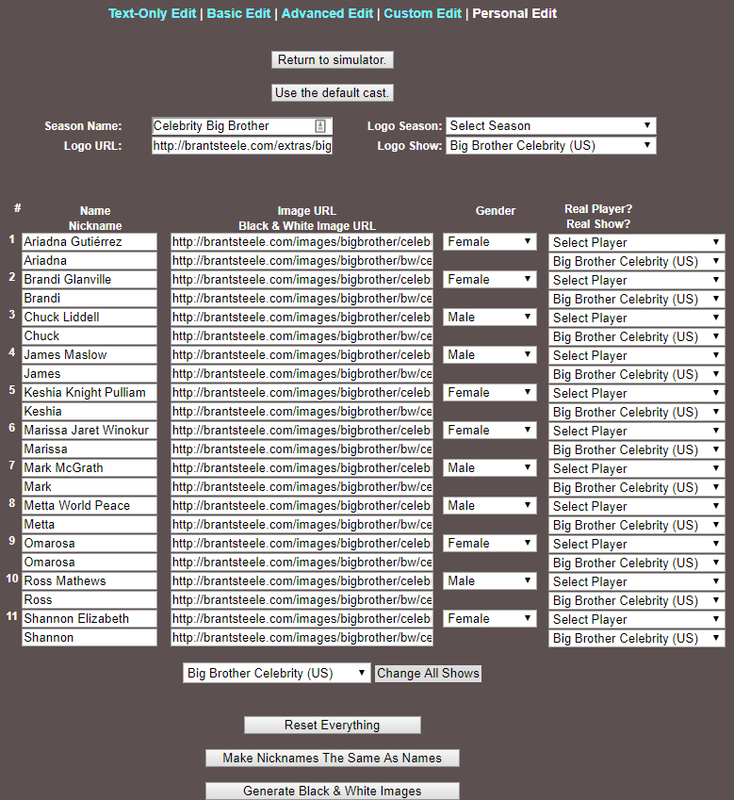 They new cast loaded fine, however, when I went to edit the profiles, the simulator would refresh to the original cast. Thanks for letting me know. I have been making changes throughout the day, every day, and something in the settings may have been responsible. Let me know if you see it again.